It wasn’t until a couple years ago that I finally developed an appreciation for winter. I was used to blustery Iowan winter conditions, and had absolutely no desire to go out into the bone-chilling wind and cold. However that feeling quickly changed when I moved to northwest Montana, and was first introduced to snowshoeing. I found snowshoeing to be the perfect supplement to my favorite summer activity of hiking, and couldn’t get enough of it. Being in the midst of the mountains was wonderful. It was so great to breathe in the fresh, crisp air, feel the snow crunch beneath my feet as I walked under the sparkling snow covered Hemlocks, and simply enjoy the stillness and serenity of winter. That experience was something I knew I could get used to. Like Montana, Colorado has gorgeous, rugged mountains that are an outdoor enthusiast’s dream. 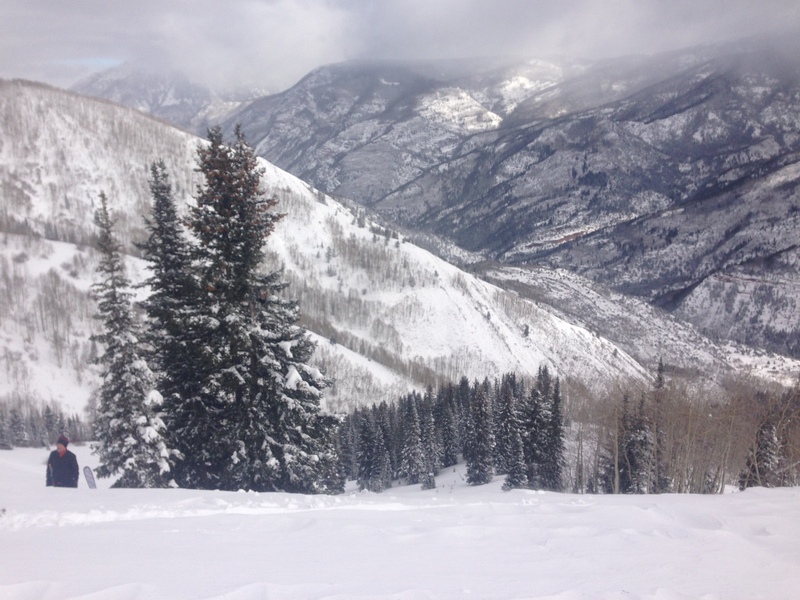 Outdoor recreation in Colorado is extensive, particularly during the winter season. Here on the western slope, there are countless cold weather activities. If you’re interested in learning about ice climbing, check out the 20th Annual Ice Festival January 8-11 in Ouray. There will be competitions from elite climbers all around the world, interactive clinics, presentations, and free climbs for those 18 and older. Festival events will be held primarily at The Ouray Ice Park, but if you can’t attend, look into the Ice Park any time from December through mid-March. The Ouray Ice Park is a non-profit organization supported by individuals and businesses whose memberships help keep the 200 plus named ice and mixed climbs in tip-top shape. The Rotary Park and Ice Rink is also located in Ouray and open to the public throughout the winter months. The rink has some great amenities, like lights for night skating under the moonlight, and a warming hut to relax in and ward off the winter chills. It’s also a great place to perfect your skating skills, or to get involved in a pick-up game of broom ball. The Glenwood Springs Community Center has an ice rink as well that is covered. It hosts youth and adult hockey leagues, public skates, and welcomes private rentals as well. Another place to try out is the Crested Butte Nordic Center. In addition to their ice skating rink, they offer over 50 kilometers of groomed trails for skiing and snowshoeing. There are a variety of programs to get involved with, including the Learn to Ski 4 Free program to develop basic skills, and the Master’s Training Group program to improve speed and endurance. Equipment is available for rental onsite, and you can get a true backcountry experience by participating in a cross-country ski or snowshoe tour, or by renting a hut for your family and friends in the Gunnison National Forest! 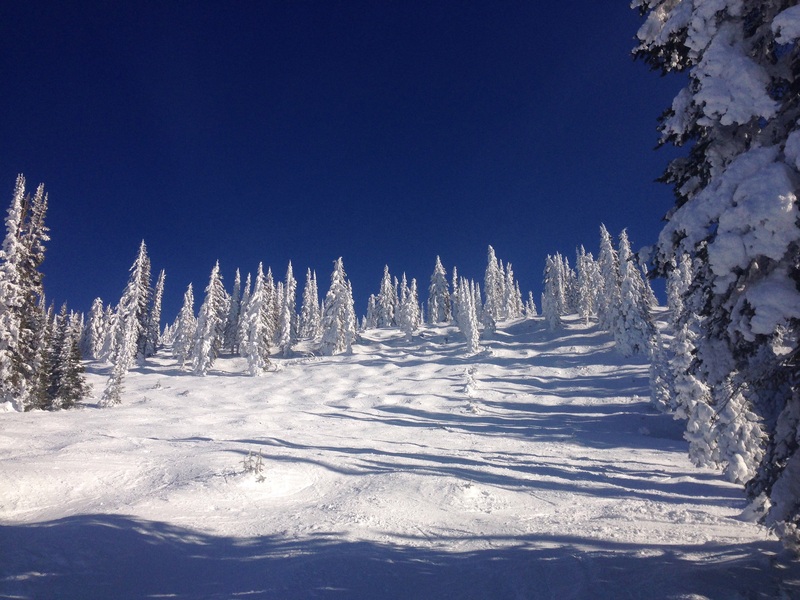 The Grand Mesa is a magical place to partake in winter activities as well. It’s the largest flat top mountain in the world and is nearly 11,000 feet in elevation, which means snow comes as early as November and sticks around until April, often into May. The Grand Mesa Nordic Council, a volunteer, non-profit group of avid skiers has made it possible for the public to access the Grand Mesa for skiing, snowshoeing, snowmobiling, and snowbiking. Donors, business sponsors, membership fees and grants help fund this organization who promotes skiing to people of all ages and abilities. Over 54 kilometers of trails are groomed by the Grand Mesa Nordic Council at the County Line, Skyway and Ward trail systems. There are options for skate, cross-country, backcountry and Telemark skiing, as well as snowshoeing, snowmobiling and snowbikng on these trail systems, so be sure to follow proper trail etiquette. Adult lessons and clinics on the Grand Mesa are great opportunities for beginner skiers and for those looking to boost their skills and confidence, but keep in mind participants are required to bring their own ski equipment. A terrific rental business is Leisure Time Sports conveniently located in Cedaredge. Youth programs such as the Grand Mesa Gliders and Skis for Kids are a few of the alternatives on the Mesa for younger skiers. Skis for Kids helps keep this winter sport affordable by providing youth groups and organizations with $1 ski rentals! Four citizen races on the Grand Mesa are held each year and are open to all interested parties. There is also a day dedicated to fun youth races after a morning of lessons. The Colorado Mesa University ski team utilizes the Grand Mesa to train for events, and is hosting their home invitational event, Colorado Mesa Sprints on January 3 from 10:00-2:00. Teams from all across the nation participate in this annual event, and it is not to be missed! To add even more to your winter outings, check out the Grand Mesa Lodge, Mesa Lakes Lodge, and Thunder Mountain Lodge for beautiful overnight stays with easy access to snowmobile, snowshoe, and ski trails, including Powderhorn Mountain Resort. If you’re in the North Fork area, there are fantastic trails right outside your door. A few of the trails include the Stevens Gulch Snow Trail, the Suttons Corral Snow Trail, the Ruth Mountain Bypass Snow Trail, the Meyers Gulch Snow Trail, and the Forest Snow Trail. 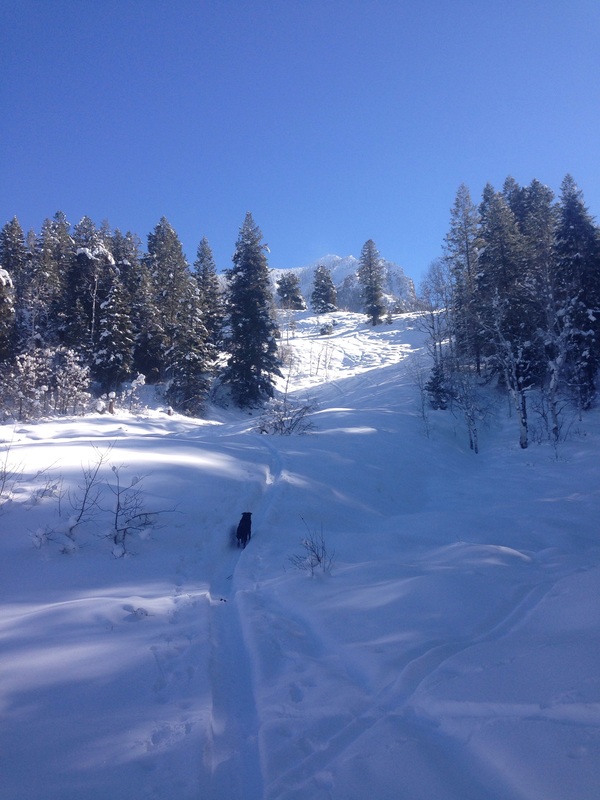 These trails are all located in Paonia and are open to skiing, snowshoeing and snowmobiling. 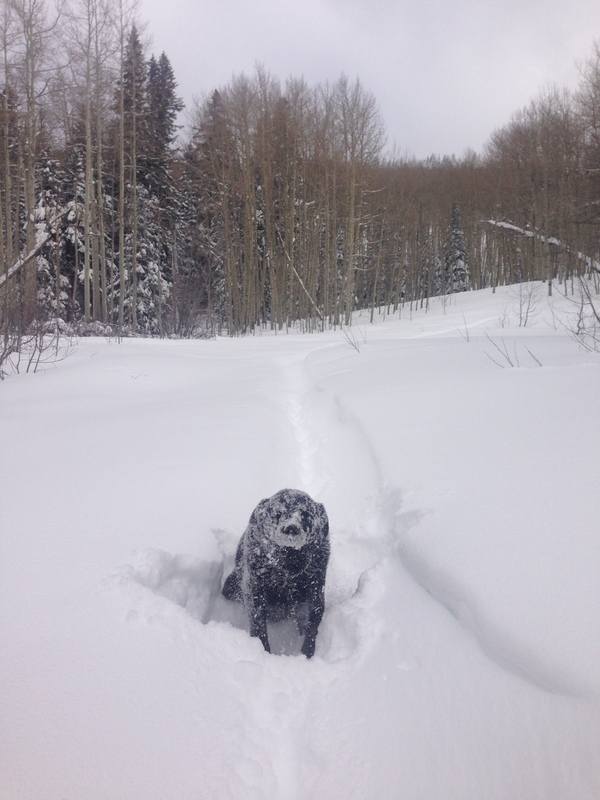 Crawford also has a couple trails for these winter activities, such as the Old Mesa Snow Trail and the Mesa Creek Snow Trail. Check them out! Hot springs are peppered throughout the western slope, and can be a luxurious treat on a frosty winter day. Avalanche Ranch Cabins and Hot Springs located in Redstone offers three hot springs pools to daily visitors and overnight guests. Enjoy a hot mineral soak in the Crystal River Valley with breathtaking views of surrounding mountains. Nearby Penny Hot Springs is another fantastic venue for a relaxing soak. These hot springs are a bit more informal and can be found off a large parking lot on the east side of Highway 133. Penny Hot Springs sits on the banks of the Crystal River, and have a very interesting history that is worth looking into. If you’re heading towards the San Juan Mountains, stop at Orvis Hot Springs outside of Ridgeway. Clothing is optional at all seven soaking areas and available to campers and lodgers at any time of the day. Solely interested in soaking? One hour soaks or all day soaks are also available at this elegant resort. The Ouray Hot Springs Pool is a wonderful option as well, especially for families. A number of soaking areas of varying temperature are provided for guests, including a shallow section for youngsters as well as a water volleyball area for those interested in a fun time usually reserved for summer. Even if winter is not your favorite season, start the New Year off right by trying something new, improving your winter sport skills, or most importantly, having fun! The western slope of Colorado has innumerable winter opportunities that are unique to this beautiful state. Let’s take advantage! See you on the slopes!